After a long time, i am writing an article on Windows platform. This guide is focusing on installing VirtualBox extension on Windows 8.1 / 8. 1. 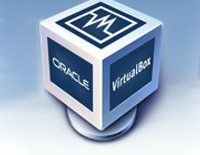 Download the latest VirtualBox extension from official website. File –> Preference –> Extensions –> Add Package –> Browse for the downloaded extpack. 5. Extension pack will start to install. 6. Once it is installed, you will get successful information. 7. The following screenshot shows the list of extension packages installed on VirtualBox.